Six years removed from his his Solo Piano II LP, Chilly Gonzales is now set to put a wrap on the trilogy of albums with a third instalment set to arrive later this year. Gonzales will deliver Solo Piano III on September 7 through Gentle Threat. The album features 15 short pieces in total, each arriving with a dedication. A scan of the tracklisting finds dedications to figures both present (Daft Punk's Thomas Bangalter, Eric Andre, Migos, Beach House) and past (Amelia Earhart, Wendy Carlos, Fanny Mendelssohn). 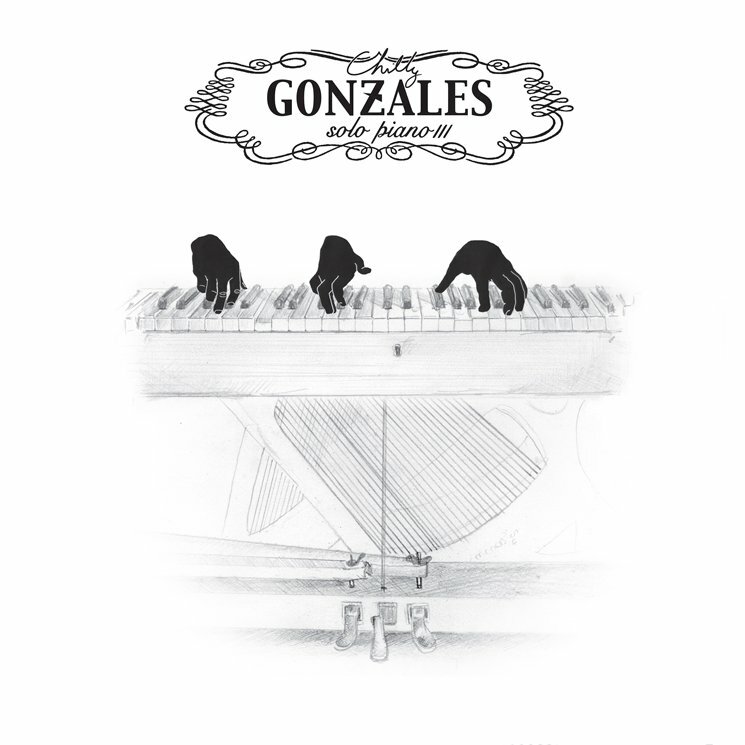 Gonzales writes in a press release that the album arrives at "a more problematic inflection point," describing the effort as "a mostly happy ending in C major, but there is more dissonance, tension and ambiguity along the way...The musical purity of Solo Piano III is not an antidote for our times, it is a reﬂection of all the beauty and ugliness around us." Gonzales has also mapped out a number of tour dates in conjunction with the announcement. A run of European dates in September will lead to a short string of Canadian performances in October, including stops in Toronto, Ottawa, Quebec City and Montreal. You can find the pianist's Canadian itinerary below. Last year, Gonzales teamed up with Jarvis Cocker to release a companion album for their multimedia piece Room 29. Earlier this year, he covered some of pop music's biggest and brightest on his Other People's Pieces LP. Find the complete tracklisting for Solo Piano III and a trailer for the record below.